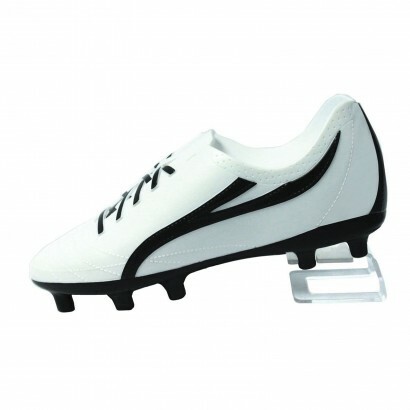 Football crazy kids will love this LED light shaped just like a football boot complete with studs. Choose from white light or colour change settings and this battery operated lamp will cast a soft glow into your room shining with a mesmerising light show. 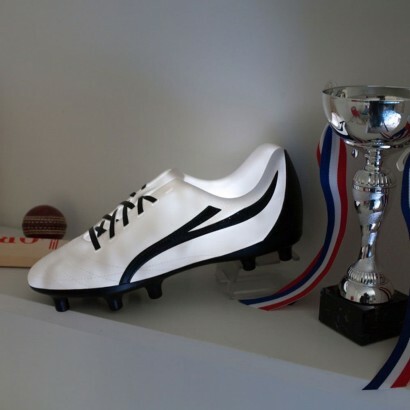 Battery operated and cool to the touch, this football boot lamp makes a fun mood light or night light and will look as good in kids rooms as in the football mad man cave! This was a rushed last minute present for my stepson who adores football & was afraid of the dark in his guest room. What a score!!! Perfect in every way. We use rechargeable batteries so he can have it on all night.